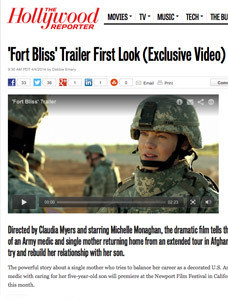 “Directed by Claudia Myers and starring Michelle Monaghan, the dramatic film tells the story of an Army medic and single mother returning home from an extended tour in Afghanistan to try and rebuild her relationship with her son. 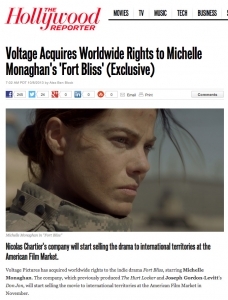 “Voltage Pictures has acquired worldwide rights to the indie drama Fort Bliss, starring Michelle Monaghan. 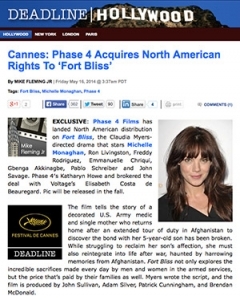 The company, which previously produced The Hurt Locker and Joseph Gordon-Levitt’s Don Jon, will start selling the movie to international territories at the American Film Market in November. Monaghan, whose credits include Source Code, Made of Honor and Mission: Impossible III, plays a decorated U.S. Army medic and single mother who returns home from an extended tour in Afghanistan to face a troubled relationship with her 5-year-old son. Just as her life begins to stabilize, she is deployed overseas again. 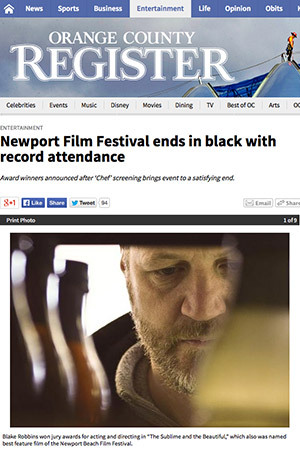 The cast also includes Ron Livingston, Emmanuelle Chriqui and Six Feet Under’s Freddy Rodriguez.